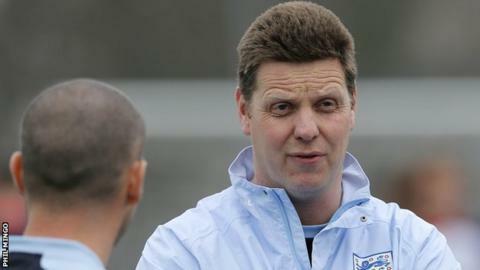 Former Jersey FA boss Dave Kennedy has been appointed as the island's new football combination manager. The former Alloa, Dunfermline and Livingston player replaces former chief Craig Culkin, who has stepped aside and is focusing on family life. Kennedy takes charge of the squad representing local leagues, while Jimmy Reilly remains the Jersey FA manager. "We feel David's one of the most talented coaches on the island," said combination president Charlie Browne. Kennedy led Jersey to three Muratti victories in his spell as Jersey FA manager, and went on to become assistant to Culkin, who was previously in charge of both football sides. However, the pair resigned last year following a selection dispute. In his new role, Kennedy will try to lead the combination to success in the FA Inter-League Cup competition, which pits divisions from across the country against each other for the right to represent England in the UEFA Regions Cup. He was part of the management team when they represented England in San Marino at the amateur European tournament in 2013.